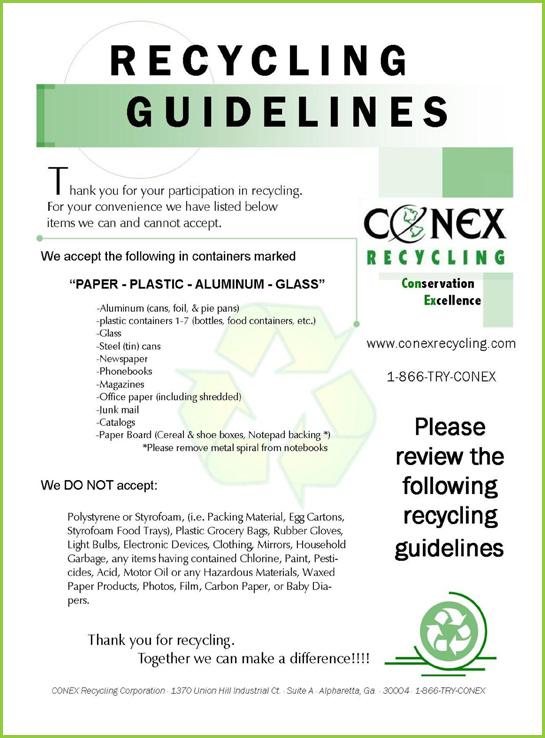 Conex Recycling Corporation is continuously expanding to deliver recycling services to as many clients as possible. We provide regular recycling pickups for businesses at more than 1000 properties in Atlanta, GA alone. We also serve hundreds of properties in the metropolitan areas of Atlanta, Dallas, Houston, Jacksonville, Orlando, and Tampa-St.Petersburg. Get service pickups per month at a fraction of the cost of your regular garbage bill. Our regular pickup schedule is typically once a week. Some of our clients choose to pay for two or three pickups per week, based on their volume. Our clients also get a quarterly report that breaks down the materials recycled by weight. This report allows customers to track their positive influence on the environment, and further negotiate their waste contract. Click the picture to print a copy of your guidelines. Gatherings and other events sometimes lead to an increase in recyclable waste. Despite the size of our recycling bins, overflows can still occur. All overflow pickups are free. 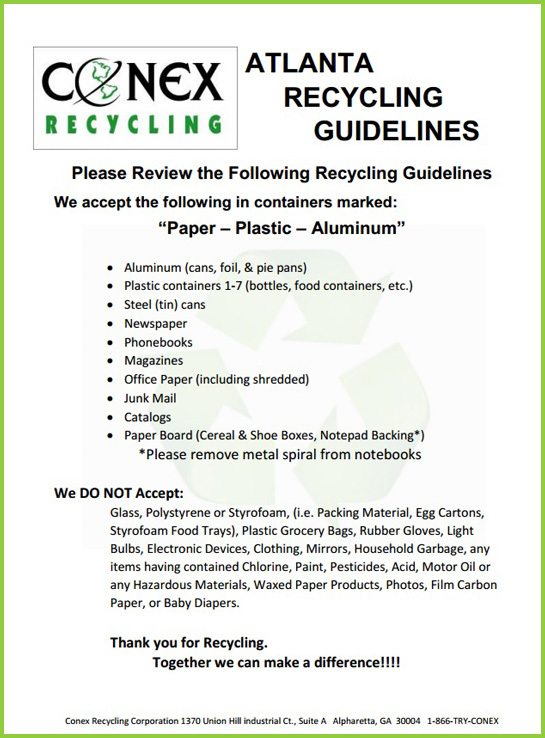 Contact us for recycling pickup schedules today.